small factor, aluminum case, screen is big and wide, easy to use, pocketable, nice WAP browser. Is a nice phone for someone is not a geek or a tech, however, as simple as it is, is a phone for my mother or my grandfather, people who like simple things that works. 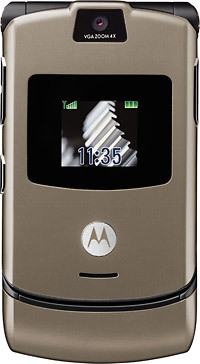 • K750i or Razr V3? We have done our best to provide you the correct technical specifications for the Motorola MOTO RAZR V3. Please let us know if you find any errors.